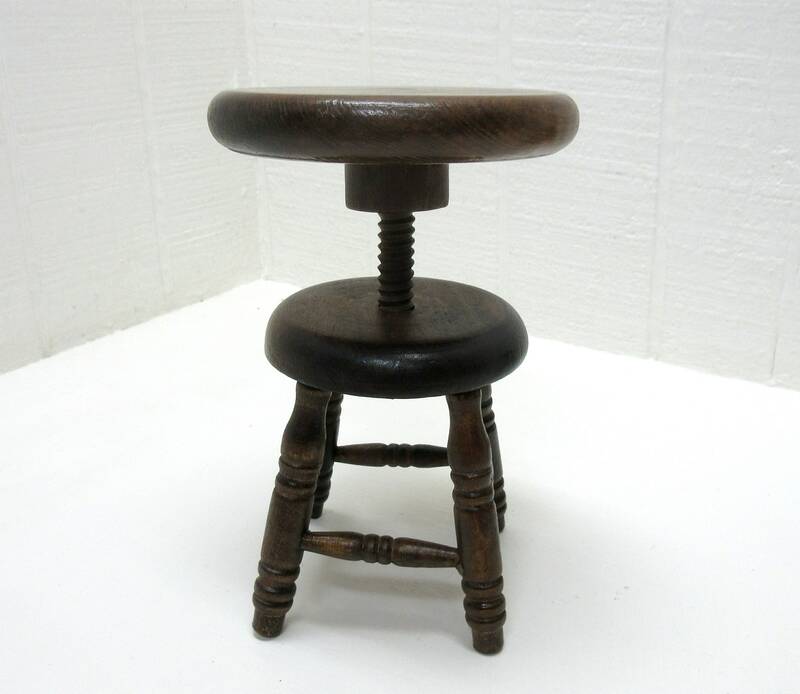 This is a vintage, maybe even antique, miniature salesman sample or child's toy doll house piano stool. 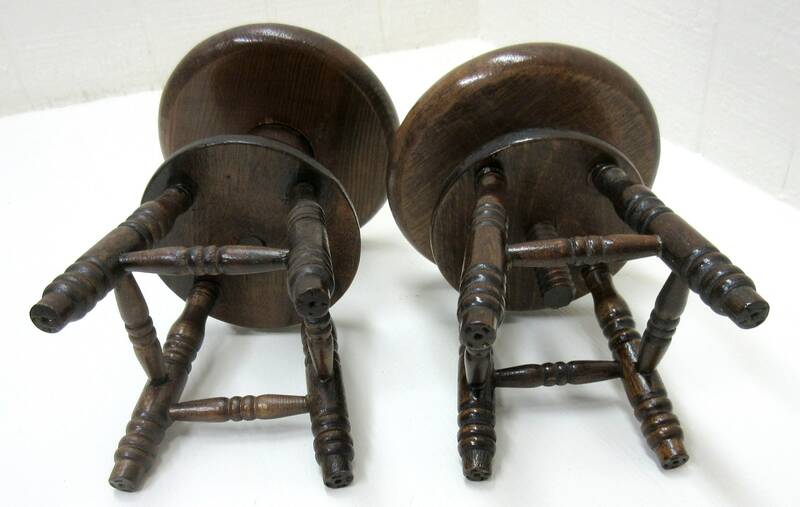 There are 2 of them available. 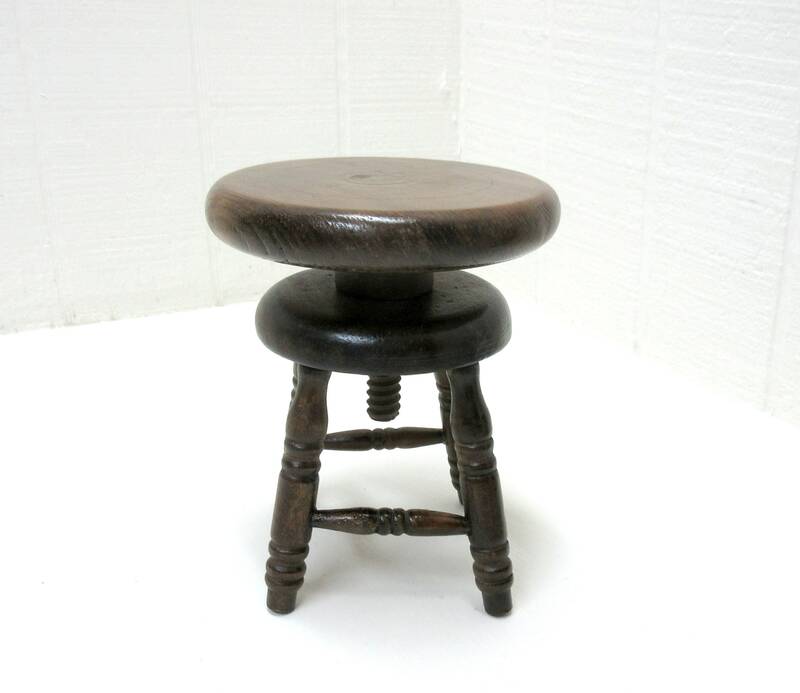 The wooden piano stool is adjustable, you turn the wooden seat, that has a kinda cork screw, and the seat goes up or down to suit your fancy. 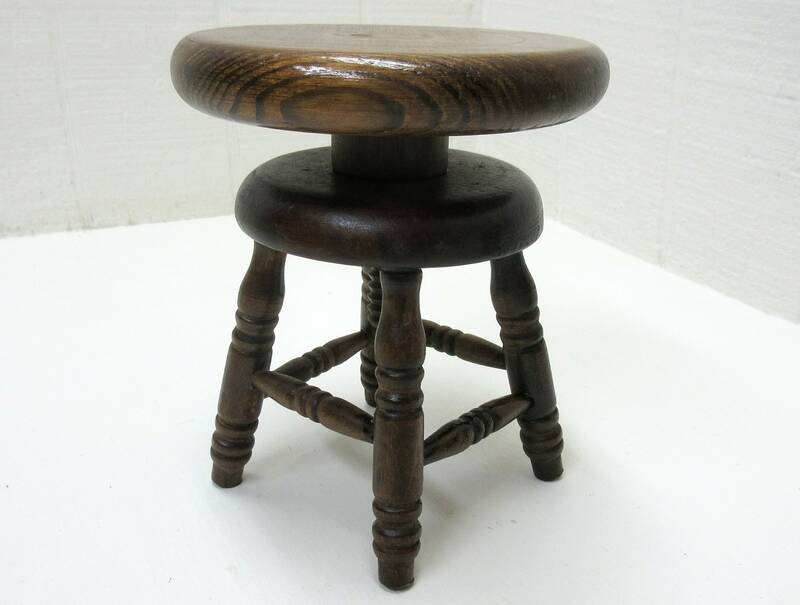 The stool seat measures 4-1/4" in diameter x 6" tall at it lowest level or 7" tall at its maximum height. 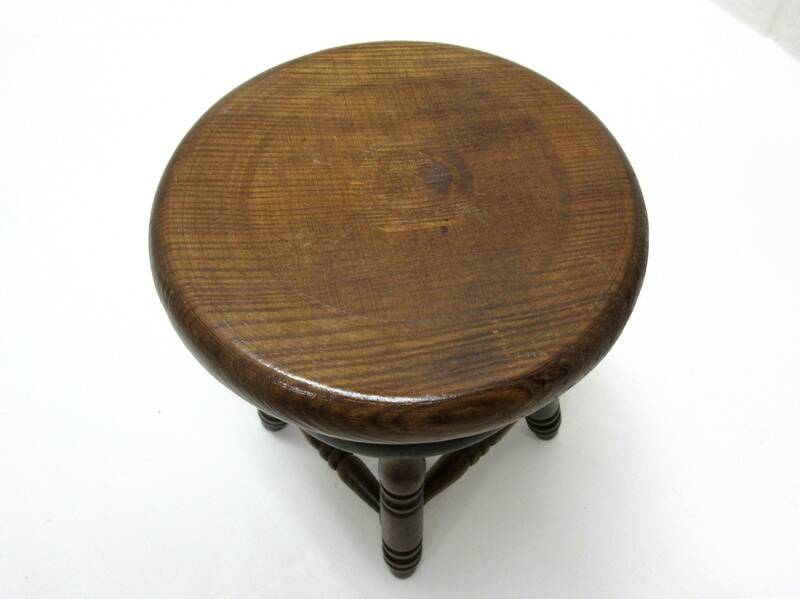 There is some very minor surface wear to the wood in a few spots, but nothing too serious. 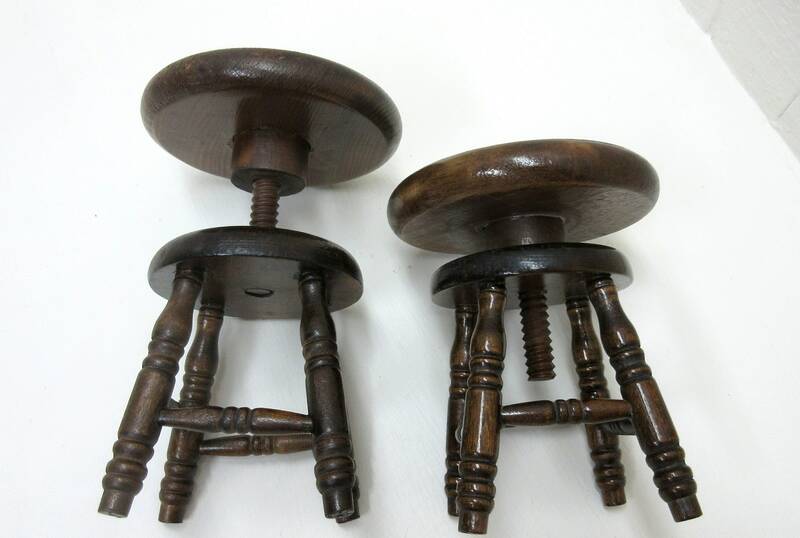 Overall they are in nice vintage condition with a nice vintage patina. 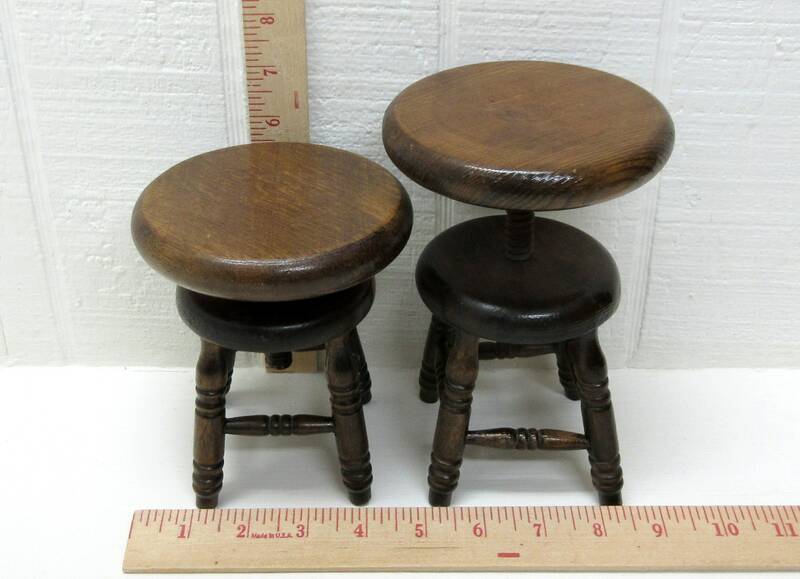 You might want 2 of these stools. If you want both of them just select "QUANITY OF 2" when you check out.